28 Total Icons. PNG 512x512 Format. Bronze, Silver, Gold, Platinum and Diamond. Each one with "normal" category, "Top" and "Best/number one". 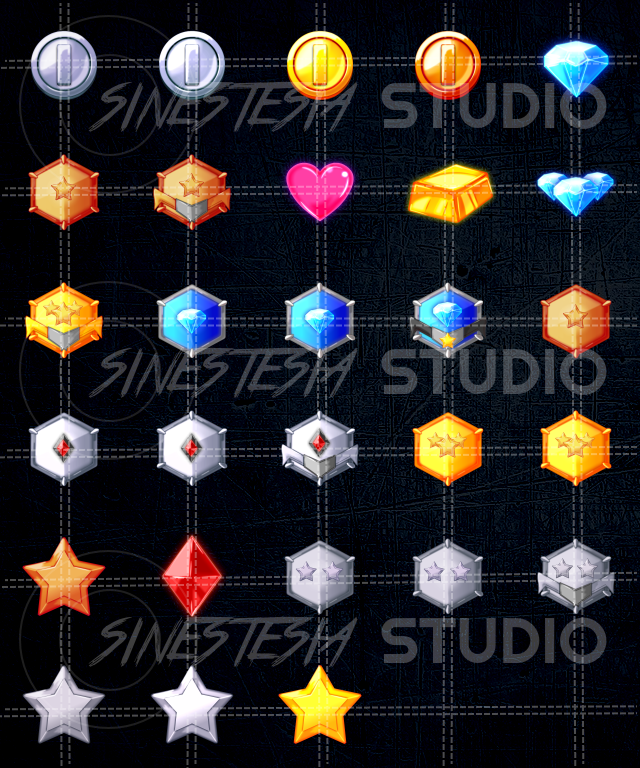 Coins, Stars, Heart, Diamond, Ruby, Gold ingot Icons as well. 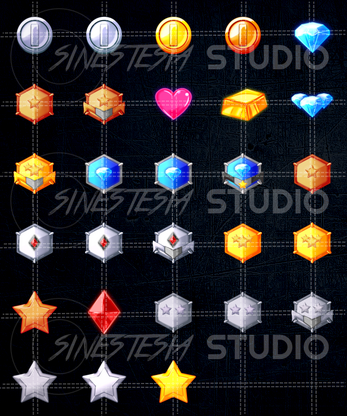 Each file is a PNG with transparent background 512 x 512 size.